In order to maximize the benefits of exercise, it's important to know what your heart rate should be when you workout. 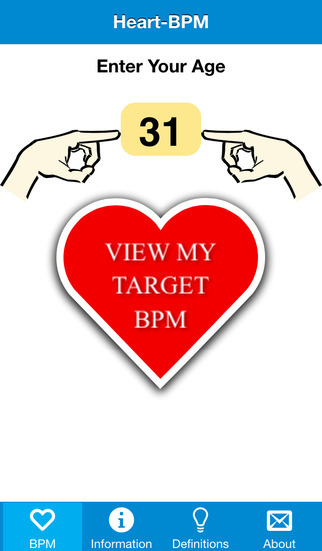 Our Heart-BPM app calculates age-specific heartbeat ranges that coincide with exercise sessions of varying intensity. 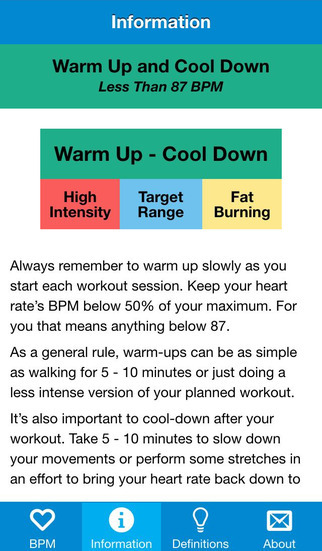 Information is then displayed that can help you decide which range can best help you reach your fitness goals. Initial Release for the App Store.